To help us monitor the standard of service provided by contractors, please fill in this online form to tell us your experiences. You can request a paper version if you prefer. Don’t take the electrics in your home for granted. That’s the message from The Cage – a 30-second insight into potential hidden electrical dangers that can exist. 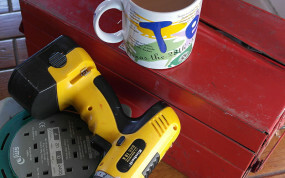 The clip was used in a social media campaign encouraging homeowners to use registered electricians. – if you require out-of-hours emergency repairs for roof, locks or glazing, please call 020 3848 6030/6031. If you cannot get through to an MMHS representative, find an emergency local contractor and arrange for works up to a maximum value of £250 to make your property safe. Further work required should be reported to the Society at the next available opportunity. This is when a problem arises which needs fixing. This might be an emergency or more routine. Section 4 of the Handbook details the responsibilities of the Society and those of the resident – together with advice on how to report a repair and the 24-hour emergency service. Click here to fill in a Repair request form! It is essential that properties are maintained to a high standard. Refurbishment of kitchens and bathrooms, re-laying of driveways and replacement of windows and doors fall into this category. The Society goes beyond the Decent Homes Standard for all our properties. Regular surveys are undertaken, which help us decide which properties should be included in our annual maintenance programme. This includes external decoration which is needed on a regular basis. An annual programme of external decoration is completed between April and October each year. This is usually – although not exclusively – when a property is empty as it is likely to cause a great deal of disruption. The Society is responsible for ensuring all gas heating and hot water services are serviced annually. We monitor this closely to ensure contractors comply with this requirement. Section 4 of the Tenants’ Handbook gives clear guidance on the work to be included when a service is carried out together with contact details of the contractor in the event of a breakdown.